Gillaug, Eiki-nefr's daughter, had the stone raised in memory of Dragmáll, her mother's father. 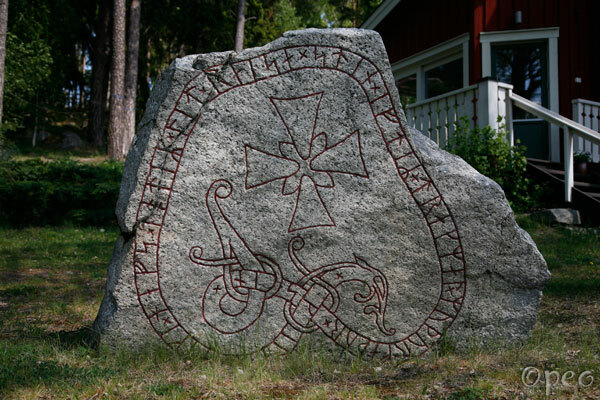 This rune stone is standing in a private garden, about 650 metres northeast of the Tibble-stones. Folkbjôrn had the stone raised in memory of Nefr, his brother. They are Ásgeirr's sons. 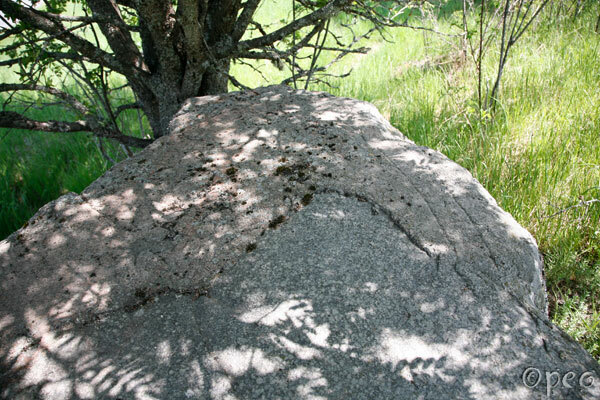 The surface of this stone is badly damaged, and the text is not filled in, so it's very hard to see it from a distance. Then there's the shadows from the tree also. For a close-up : point at the picture.